General manager Brian Gutekunst suggested Graham will stay with the Packers for 2019, Jim Owczarski of the Milwaukee Journal Sentinel reports. The Packers currently plan to keep Graham under contract for 2019, Ian Rapoport of NFL Network reports. Graham may be released by the Packers this offseason, Pete Dougherty of The Green Bay Press-Gazette reports. Graham had three receptions for 21 yards in Sunday's loss to the Lions. Graham (knee/thumb) doesn't have an injury designation for Sunday's game against the Lions, Michael Cohen of The Athletic reports. Graham (knee/thumb) practiced in a limited capacity Thursday, Rob Demovsky of ESPN.com reports. Analysis: After a veritable veteran's day off Wednesday, albeit due to knee and thumb injuries, Graham returned Thursday with a cap on his practice reps. If he follows the typical progression from his first season in Green Bay, he'll be a full participant Friday and head into the weekend without a designation. Unfortunately, his production has waned down the stretch, with 20 catches (on 30 targets) for 190 yards in seven games since his last TD in Week 9. Graham (thumb/knee) is participating in Thursday's practice, Wes Hodkiewicz of the Packers' official site reports. Graham (thumb/knee) was held out of practice Wednesday, Josh Tolentino of The Athletic reports. Analysis: This is status quo for Graham, who has managed a knee issue all season and a broken left thumb since mid-November. Since suffering the latter injury, he's had issues with drops and deflected passes, gathering in 18 of his 28 targets for 163 yards and no touchdowns over the last five games. Considering the production, Graham isn't a particularly inspiring fantasy option in Week 17 against the Lions. Graham caught three of four targets for 34 yards in Sunday's 44-38 overtime win over the Jets. Analysis: Graham accounted for just 34 of Aaron Rodgers' 442 passing yards. He was also the intended receiver on a two-point conversion attempt that would have turned into two points for the Jets on an interception return if not for a defensive penalty nullifying the whole play. The veteran tight end has been robbed of his bounce by injuries and has just two touchdowns heading into a Week 17 clash with the Lions after scoring 10 for the Seahawks last season. Graham (knee/thumb) doesn't carry an injury designation into Sunday's game at the Jets, Tom Silverstein of the Milwaukee Journal Sentinel reports. Analysis: As expected, Graham finished out the week with a full practice and shouldn't have any limitations Sunday. He's struggled with drops since suffering a broken thumb Nov. 15, further adding to the disappointment of what had already been a substandard campaign. Graham will now take aim at a Jets defense that's given up a league-low 39 receptions to tight ends. Graham (knee/thumb) practiced in a limited capacity Thursday, Michael Cohen of The Athletic reports. Analysis: With his return to drills, Graham is more or less upholding his practice standard from much of his sole season as a Packer. Since he last scored a touchdown Week 9, he's been in a six-game rut, hauling in 17 of his 26 targets for 156 yards. Assuming he's active Sunday versus the Jets, Graham may have a tough time bouncing back against a Jets defense that has allowed the fewest receiving yards (452) to tight ends this season. Graham (thumb/knee) was spotted on the field during the portion of Thursday's practice that was open to the media, Rob Demovsky of ESPN.com reports. Analysis: Graham's absence at practice Wednesday looks to have been mostly for maintenance purposes, given that he was able to return to work a day later. It's still possible that he'll be listed as a limited participant once the Packers release their practice report later Thursday, but the tight end doesn't seem to be at much risk of sitting out Sunday against the Jets. Graham (knee/thumb) isn't practicing Wednesday, Michael Cohen of The Athletic reports. Analysis: Graham played with a wrap over this broken thumb the past four weeks, catching 15 of 25 targets for only 129 yards since he suffered the injury. The Packers might consider easing up on the tight end now that they've officially been eliminated from the playoffs, though coach Joe Philbin suggested the team won't change its approach with injured players. A return to practice Thursday would put Graham on track to play in Sunday's game against the Jets. Graham caught three of five passes for 32 yards during Sunday's 24-17 loss to Chicago. Graham (knee/thumb) doesn't have an injury designation for Sunday's game in Chicago, Tom Silverstein of the Milwaukee Journal Sentinel reports. Analysis: Still playing through a broken thumb, Graham has struggled with drops but hasn't shown any limitation in terms of snaps or targets. He gets a tough Week 15 matchup against a Bears defense that's holding opponents to 6.4 yards per pass attempt, including just 5.8 YPT for tight ends. Graham (knee/thumb) was limited at Thursday's practice, Michael Cohen of The Athletic reports. Graham (thumb/knee) is taking part in Thursday's practice, Wes Hodkiewicz of the Packers' official site reports. Graham (knee/thumb) wasn't present at practice Wednesday, Rob Demovsky of ESPN.com reports. Graham caught two passes for 13 yards in Sunday's victory over the Falcons. Graham (knee/thumb) is clear of a designation for Sunday's contest against the Falcons, Michael Cohen of The Athletic reports. Analysis: The Packers have managed Graham's knee all season, but a broken thumb has affected him in the team's previous two games. During that stretch, he gathered in 10 of 15 passes for 84 yards and no touchdowns. He'll attempt to keep it up Sunday versus an Atlanta defense that has surrendered 7.5 yards per target and four touchdowns to tight ends in 12 contests. Graham (thumb/knee) was a limited practice participant Thursday, Josh Tolentino of The Athletic reports. Analysis: As he usually does, Graham is building up his workload in anticipation of Sunday's game against the Falcons, who have conceded an average of 4.8 catches (on 6.7 targets) for 50.1 yards to go with four touchdowns to tight ends in 12 games this season. Graham (thumb/knee) was listed as a non-participant on Wednesday's practice report, Michael Cohen of The Athletic reports. Analysis: Graham returned to his usual role in Sunday's 20-17 loss to the Cardinals, catching eight of 11 targets for 50 yards while handling a 71 percent snap share. He still seems to be bothered by the fractured thumb, as he spent Wednesday's practice working off to the side with the rehab group, per Josh Tolentino of The Athletic. The 32-year-old tight end likely will continue playing through the injury Sunday against Atlanta. Graham caught eight of 11 targets for 50 yards in Sunday's 20-17 loss to the Cardinals. Graham (thumb) doesn't carry an injury designation into Sunday's game against the Cardinals, Darren Urban of the Cardinals' official site reports. Analysis: Graham played through the same injury last week, catching two of four targets for 34 yards while logging just 22 snaps in a 24-17 loss to the Vikings. He's been limited at practice this week with a large wrap over his fractured thumb, but there isn't any concern about his availability for Sunday. Graham likely will be restricted to a part-time role for at least another week or two, hindering his fantasy outlook. Coach Mike McCarthy said Friday that Graham (thumb) was unable to do as much at Thursday's practice as anticipated, Kelly Price of NBC 26 Green Bay reports. Analysis: Graham was able to practice on a limited basis after sitting out Wednesday's session, but he apparently hoped he would be further along in the recovery path by this point in the week. The tight end played through the injury in last Sunday's loss to the Vikings, but his snaps were restricted as a result. Even if he's cleared to suit up in Week 13 against the Cardinals, Graham may have his workload capped again, which would limit his fantasy upside. Graham (thumb/knee) was a limited participant in Thursday's practice, Rob Demovsky of ESPN.com reports. Analysis: While the activity represents a step forward from what Graham was able to do Wednesday, it still appears likely that he'll require a heavy tape job over his fractured left thumb heading into Sunday's game against the Cardinals. Without the full range of motion in the thumb, Graham is unable to catch passes or block in optimal fashion, which could result in his snaps being restricted again if he plays this week. Graham (thumb/knee) didn't practice Wednesday, Darren Urban of the Cardinals' official site reports. Graham (thumb) caught two of four targets for 34 yards in Sunday's 24-17 loss to the Vikings. Graham (thumb) is active for Sunday's game at Minnesota, Jason Wahlers of the Packers' official site reports. Analysis: A week and a half removed from suffering a broken left thumb, Graham will slot in as the Packers' starting tight end, per usual, albeit with the appendage in question heavily wrapped. During Week 12 prep, coach Mike McCarthy told Jim Owczarski of the Milwaukee Journal Sentinel on Thursday that the extra padding on Graham's left hand didn't affect his ability as a receiver. No matter, but owners may want to adjust their expectations for the veteran TE. Graham (thumb/knee) is listed as questionable for Sunday's game against the Vikings but is "on track to play" in the contest, barring any complications in warmups, Ian Rapoport of NFL Network reports. Graham (thumb/knee) is listed as questionable for Sunday's game in Minnesota, Michael Cohen of The Athletic reports. Coach Mike McCarthy said Graham (thumb) would participate in Thursday's practice, Wes Hodkiewicz of the Packers' official site reports. Graham (thumb) didn't practice Wednesday, Tom Silverstein of the Milwaukee Journal Sentinel reports. Analysis: Rob Demovsky of ESPN.com previously reported that Graham was going to try to play through his broken thumb this Sunday against the Vikings, but such an outcome hinges on how things go in terms of the tight end's success in finding a splint and/or protective device that allows him to do his job with limited restrictions. If Graham is unable to go this weekend, Lance Kendricks, Marcedes Lewis and Robert Tonyan would handle expanded roles among the Packers' tight-end ranks. Graham will test out multiple splints in practice this week to see if he can play through a broken thumb, Michael Cohen of The Athletic reports. 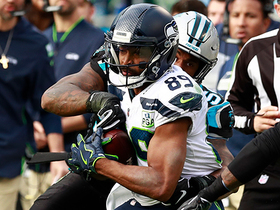 Analysis: Graham emerged from last Thursday's loss in Seattle with the fractured appendage. In the meantime, the Packers hadn't revealed whether he was slated for an absence, but the tight end himself appears set on playing through the pain. 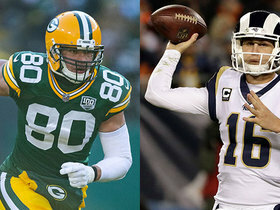 "He [Graham] intends to try and go," coach Mike McCarthy said Monday. Graham's upcoming experiments will determine whether he's available for Sunday's divisional showdown at Minnesota, which could make or break the Packers' playoff hopes. Graham was diagnosed with a broken thumb Friday, Ian Rapoport of NFL Network reports. The Packers have yet to reveal a timetable for the tight end's return. The thumb injury Graham suffered in Thursday's 27-24 loss to the Seahawks is "feared to be serious," Mike Silver of NFL.com reports. Analysis: Few details regarding Graham's setback have been revealed, but he was not able to return to the contest after suffering the injury and it appears he could miss more time. Those with Graham on their fantasy squads will at least want to start considering other options at tight end. If Graham's injury does indeed cost him more action, all three of Green Bay's other tight ends -- Lance Kendricks, Marcedes Lewis and Robert Tonyan -- would have a chance to be more involved on offense. Graham (thumb) has been ruled out for the remainder of Thursday's game against the Seahawks. Analysis: Graham jammed his thumb in Seattle player's facemask while blocking for a screen pass late in the second quarter and went back to the locker room after not being able to fit his glove on his hand. Before exiting the contest, he recorded one reception for 13 yards. Look for more updates on his status to come next week when the Packers resume practice. Graham is questionable to return to Thursday's game against the Seahawks with a thumb injury. Analysis: Graham appeared to get his hand caught in an opposing player's facemask while blocking for a screen pass late in the second quarter. If the veteran tight end remains out, expect Lance Kendricks and Robert Tonyan, who already has a 54-yard touchdown reception to his name in Thursday's contest, to see a larger role in the passing game. Graham (knee) doesn't have an injury designation for Thursday's game in Seattle. Analysis: Graham opened the week as a non-participant on back-to-back injury reports, but a return to full practice participation Wednesday has paved the way for the tight end to be available this week, as per usual. It'll be tough sledding for Graham, though, while he takes on a Seahawks defense that has given up a combined 11 catches for 101 yards and two touchdowns to tight ends over the last three contests. Graham (knee) didn't practice Tuesday, Ryan Wood of the Green Bay Press-Gazette reports. Analysis: Instead, Graham was contained to a stationary bike in the part of Tuesday's session open to the media, per Wes Hodkiewicz of the Packers' official site. Unlike Randall Cobb (knee), Graham is taking the team flight to Seattle. However, the tight end's status will remain a question mark until the release of Wednesday's injury report and potentially until the team posts its inactive list about 90 minutes before Thursday's 8:20 PM ET kickoff. Graham (knee) was listed as a non-participant on Monday's estimated injury report, Tom Silverstein of the Milwaukee Journal Sentinel reports. Analysis: Graham's inclusion isn't a surprise, as his reps typically are under some sort of cap on the first practice report of each week. Expect the 31-year-old to get on the field over the next two days with an eye on Thursday's game in Seattle, whose defense has done an admirable job of containing tight ends this season. Graham caught one pass for 14 yards in Sunday's victory over the Dolphins. Graham (knee) doesn't have an injury designation for Sunday's game against the Dolphins, Tom Silverstein of the Milwaukee Journal Sentinel reports. Analysis: Graham continues to have his reps scaled back early in the week to help him stay healthy throughout the year. It's interesting to see Randall Cobb (hamstring) listed as questionable after a mid-week setback, considering Graham averaged 8.3 targets and 67 yards in the three games Cobb missed earlier this season. Graham (knee) was a limited participant in Thursday's practice, Rob Demovsky of ESPN.com reports. Analysis: The Packers have been managing Graham's practice reps carefully all season due to the listed knee issue, though it's never put his status in serious jeopardy for any given week. The expectation remains that Graham will be on the field Sunday against the Dolphins to handle the bulk of the snaps at tight end for Green Bay. Graham (knee) returned to practice Thursday, Rob Demovsky of ESPN.com reports. Analysis: Despite being listed with a knee injury, Graham received a veritable veteran's day off Wednesday. His presence at practice Thursday was expected, but his activity level won't be known until the Packers release their second Week 10 injury report. Graham (knee) didn't practice Wednesday, Rob Demovsky of ESPN.com reports. Analysis: Graham's absence was forecast at the beginning of the session, when he appeared to be a spectator, per Jim Owczarski of the Milwaukee Journal Sentinel. However, Graham has routinely had some sort of limitation on his practice reps to kick off a given week, only to ditch the designation by the release of the final injury report. There's no indication Graham is in danger of missing Sunday's game against the Dolphins, so expect his availability to be confirmed by the end of the week. Graham caught four passes (six targets) for 55 yards and a touchdown in Sunday's 31-17 loss to the Patriots. Analysis: Graham bounced back from last week's one-catch dud with a strong fantasy line Sunday. The veteran tight end is no longer the dynamic downfield threat he once was, but he has turned in TE1 numbers in three of the last four contests. Tight end production has fallen off so much this year that Graham should be considered a top option almost every week even if he is a shell of his former self. Graham (knee) doesn't carry an injury designation into Sunday's game at New England, Tom Silverstein of the Milwaukee Journal Sentinel reports. Analysis: A regular on the injury report, Graham has played at least 71 percent of the snaps every week this season, but his production hasn't been nearly as consistent as his playing time. He'll face a New England defense that gave up huge games to the Colts' Eric Ebron and the Bears' Trey Burton in October, though the Pats did limit Kansas City's Travis Kelce to five catches for 61 yards on nine targets in Week 6. Graham (knee) was limited at practice Wednesday, Michael Cohen of The Athletic reports. Analysis: With a maintenance plan in place for the 31-year-old tight end, Graham is kicking off Week 9 preparations as he normally does. His production has oscillated from game to game, though, as he's recorded more than 70 yards three times and less than 25 yards three other times in his first seven appearances with the Packers. Graham collected one reception for 21 yards during a 29-27 loss to the Rams on Sunday. Graham (knee) doesn't have a designation on the final injury report for Sunday's game against the Rams, Michael Cohen of The Athletic reports. Analysis: The Packers have been limiting Graham's workload in practice all season, but his availability for games has never been in serious question. He'll take aim at a Rams defense that's given up 8.6 yards per target on passes thrown to tight ends this season. Graham (knee) was a limited practice participant Wednesday, Michael Cohen of The Athletic reports. Analysis: In the three games prior to the Packers' Week 7 bye, Graham had some limitations in practice due to a knee injury. His reality appears to be the same after the week off, but it wouldn't surprise if he ditches the designation altogether by the release of Friday's injury report, as he did for all three of those aforementioned contests. Graham caught five of nine targets for 104 yards in Monday night's 33-30 win over the 49ers. Analysis: Graham enjoyed his best statistical performance as a Packer, ripping off a gain of 54 yards en route to his first 100-plus-yard outing. Overall, Graham only trailed top wideout Davante Adams in all receiving categories, making his presence felt among an inexperienced group of pass catchers. Fresh off another encouraging outing, Graham enters Green Bay's bye week with solid momentum. Graham (knee) was a full participant in Friday's practice. Graham (knee) isn't participating in Thursday's practice, Rob Demovsky of ESPN.com reports. Graham brought in six of 11 targets for 76 yards in the Packers' 31-23 loss to the Lions on Sunday. Graham (knee) was listed as a full participant in Friday's practice. Graham (knee) was a limited practice participant Thursday, Tom Silverstein of the Milwaukee Journal Sentinel reports. Analysis: Graham has replicated his practice participation from a week ago, when he received a "maintenance" day for a knee injury Wednesday before returning Thursday in a limited fashion. He was removed from the injury report entirely Friday and went on to record his first touchdown in a Packers uniform this past Sunday against the Bills. If he's cleared for Sunday's game at Detroit, he'll take on a Lions defense that has surrendered 8.0 YPT and two touchdowns to tight ends this season. Coach Mike McCarthy said Graham (knee) would participate in Thursday's practice, Josh Tolentino of The Athletic reports. Graham didn't practice Wednesday due to a knee injury, Michael Cohen of The Athletic reports. Analysis: Last Wednesday, Graham was also withheld from the Packers' first practice session of the week, with coach Mike McCarthy labeling the tight end's absence as a day of "maintenance." Graham followed it up with limited participation Thursday and Friday, but was cleared of an injury designation on the Packers' final Week 4 injury report. He'll aim to do the same this week after recording his first touchdown of the season in last Sunday's win over the Bills. Graham wasn't present at practice Wednesday, Rob Demovsky of ESPN.com reports. Analysis: It's unclear if Graham is dealing with an injury or merely getting a veteran day off. The tight end missed last Wednesday's session for maintenance due to a knee concern, but ultimately suited up for Sunday's 22-0 win over the Bills. The reason for his absence will be revealed when the Packers release their first Week 5 injury report later Wednesday. Graham caught three of six targets for 21 yards and a touchdown in Sunday's 22-0 win over the Bills. Analysis: Graham opened the scoring with a three-yard touchdown catch in the first quarter. The veteran tight end was expected to make plenty of trips to the end zone with Aaron Rodgers and the high-octane Packers offense after finding paydirt 10 times with the Seahawks last year, but this was only his first score of the season. He'll try to build off this performance against the Lions in Week 5. Graham (knee) has been removed from the injury report for Sunday's game against the Bills, Michael Cohen of The Athletic reports. Analysis: Graham was held out of practice Wednesday and restricted to limited participation Thursday and Friday. He often followed a similar routine during his time in Seattle to keep his body fresh for Sundays. With Randall Cobb (hamstring) shaping up as truly questionable, the Packers may need a bit more from Graham than his current average of 6.3 targets per game. Coach Mike McCarthy said that Graham (knee) would be a limited participant in Thursday's practice, Jim Owczarski of the Milwaukee Journal Sentinel reports. Analysis: It's a good sign for Graham after the knee injury prevented him from practicing Wednesday, though the Packers never seemed especially concerned about the tight end's availability for the Week 4 matchup with the Bills. Per Owczarski, McCarthy labeled Graham's absence as "maintenance," suggesting that the 31-year-old has probably just been managing some minor soreness coming out of Sunday's loss to the Redskins. Graham didn't practice Wednesday due to a knee injury, Jim Owczarski of the Milwaukee Journal Sentinel reports. Analysis: With the injury in tow, Graham joins quarterback Aaron Rodgers (knee) as a non-participant to begin Week 4 preparations. Rodgers has yet to find the tight end in the end zone through three games, and Graham's own health issue places a cloud over his availability for Sunday's contest against the Bills. Nevertheless, Graham, like Rodgers, has two more chances to take the practice field and thus alleviate concerns about his potential to play this weekend. Graham wasn't present at Wednesday's practice, Michael Cohen of The Athletic reports. Analysis: The reason for Graham's absence won't be known until the Packers release their first Week 4 injury report, so it's unclear if he's tending to an injury or merely receiving a personal day. In his first campaign with the Packers, Graham ranks third on the team in targets (19), but with 7.8 yards per target and no touchdowns through three games, he's been a slight disappointment. Graham snared five of seven targets for 45 yards in the Packers' 31-17 loss to the Redskins on Sunday. Graham caught six of eight targets for 95 yards during Sunday's 29-29 tie with the Vikings. Graham caught two passes for eight yards in Sunday's victory over the Bears. Analysis: Graham made little impact in his Packers debut as Aaron Rodgers mainly honed in on his top three wide receivers, who caught a total of 19 passes. Graham figures to do most of his damage in the red zone this season, and the Packers rarely found themselves in that spot Sunday night. They should do that plenty though, as long as Rodgers remains on the field, so Graham should have ample opportunities to up the production down the road. Graham isn't expected to suit up for Friday's preseason game at Oakland, Mike Garafolo of NFL Network reports. 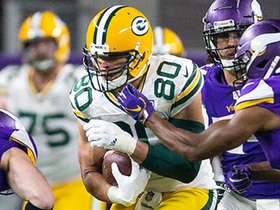 Analysis: Graham rewarded the Packers in his debut for the green and gold last Thursday, parlaying a red-zone look from Aaron Rodgers into an eight-yard touchdown. The coaching staff likely was envisioning such connections upon Graham signing with the organization in March, but his next chance to do so should come in the season opener Sunday, Sept. 9 against the Bears. Graham (knee) brought in his only target for an eight-yard touchdown in the Packers' 51-34 preseason win over the Steelers on Thursday. 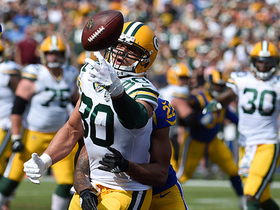 Analysis: Graham's official Packers debut was brief but rewarding. He gave the Lambeau faithful ample reason for preseason celebration courtesy of an eight-yard scoring connection with Aaron Rodgers in the first quarter, extending the Packers' early lead to 13-0 at the time. The multi-time Pro Bowler projects as one of Rodgers' top targets in the coming season, and he'll look to continue building chemistry with the quarterback against the Raiders a week from Friday in Green Bay's "dress rehearsal" game. Graham (knee) is in uniform for Thursday's preseason game against the Steelers, Tom Silverstein of the Milwaukee Journal Sentinel reports. Analysis: Graham was among a group of skill-position players to sit out last Thursday's exhibition versus the Titans, but he'll join Aaron Rodgers and (likely) Randall Cobb (ankle) for approximately one possession this time around. The Packers' big offseason splash, Graham (6-foot-7, 265 pounds) provides Rodgers with a red-zone weapon the likes he hasn't had in his incredibly efficient career. Graham (knee) returned to practice Sunday, Wes Hodkiewicz of the Packers' official site reports. Analysis: Graham has been tending to a knee injury for a brief spell, missing out on his first chance to make an in-game impact as a Packer. His next chance to do so arrives Thursday against the Steelers, assuming he's cleared to play. Graham (knee) isn't in uniform for Thursday's preseason game against the Titans, Ryan Wood of the Green Bay Press-Gazette reports. Analysis: Graham didn't take the practice field Tuesday due to a minor knee injury, which presumably is the reason for his absence. Lance Kendricks and Marcedes Lewis will thus handle TE reps with the first-team offense, but less experienced hands like Emanuel Byrd and Robert Tonyan are poised to receive the most run at the position Thursday. Graham's next chance to make his first impact as a Packer arrives next Thursday, Aug. 16 versus the Steelers. Graham missed Tuesday's practice with a minor knee injury, Michael Cohen of The Athletic Wisconsin reports. Analysis: Graham collided with a teammate during Monday's practice and presumably will be held out of Thursday's preseason game against the Titans. He should still have a chance to play before the end of the preseason, and he's already had quite a bit of time to build chemistry with Aaron Rodgers during training camp. Graham can be considered day-to-day. Graham (undisclosed) was not spotted at practice Tuesday, Rob Demovsky of ESPN.com reports. Analysis: Per the report, Graham was slow to get up after getting tangled up with a teammate during Monday's practice. While the tight end completed that session, he's not out there Tuesday, quite possibly for precautionary reasons. Graham believes he can replicate his production from his time with the Saints, noting that he's "still 6-[foot]-7 and can still run a 4.5 [40-yard dash]," Rob Demovsky of ESPN.com reports. 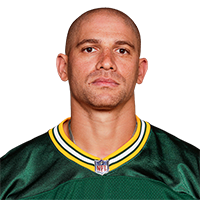 Graham's three-year contract with the Packers is official, Tom Silverstein of the Milwaukee Journal Sentinel reports. The Packers are slated to sign Graham when free agency officially opens Wednesday, Adam Schefter of ESPN reports. Graham isn't expected to re-sign with the Seahawks, Tom Pelissero of NFL.com reports. Analysis: After struggling to make an impact in the red zone his first two years in Seattle, the 31-year-old tight end scored 10 times last season but only caught 57 of 98 targets for 520 yards (5.3 per target). The cap-strapped Seahawks probably prefer to go cheaper at tight end, while TE-needy teams with more flexibility should still be willing to make a significant financial commitment for a stab at Graham's upside. The Saints reportedly are interested in a reunion. Graham tied for second in the NFL with a position-leading 10 touchdown receptions in 2017, but he posted career lows in yards per reception (9.1) and yards per target (5.4). Graham posted three receptions (on six targets) for 45 yards during Sunday's 26-24 loss to the Cardinals. Graham (knee) doesn't have an injury designation for Sunday's game against the Cardinals, John Boyle of the Seahawks' official site reports. Analysis: Per usual, Graham missed some practice time during the week but was never in any actual danger of sitting out a game. He's caught just two of five targets for two yards the past three games, though he did at least venture back into the end zone in last week's 21-12 win over the Cowboys. Graham caught six of nine targets for 27 yards and two scores in a 22-16 win over the Cardinals in Week 10. Graham (knee) was a non-participant at Wednesday's practice, John Boyle of the Seahawks' official site reports. Analysis: The Seahawks offense has fallen flat the last two contests, but Graham's barren stretch actually extends one game further. Commanding an immense six targets during that three-game stretch, he redeemed himself Sunday at Dallas with a second-quarter touchdown, his first and only catch of Week 16. He may log another "rest" day Thursday before making an appearance Friday, after which his status for the regular-season finale will be revealed. Graham caught his only target for a three-yard touchdown against Dallas on Sunday. Analysis: Russell Wilson was only able to throw for 93 yards in this game, so Graham's limited role was of no fault of his own. Wilson should have a bigger game against the Cardinals this week, which should hopefully put Graham in position to post more yardage from scrimmage. Graham (knee) isn't listed on the final injury report for Sunday's game in Dallas, Gregg Bell of The Tacoma News Tribune reports. Graham (knee), who was held to a career-low minus-1 yards in Sunday's loss to the Rams, has seven dropped passes this season, second in the league and most among tight ends. Analysis: Graham dropped a pass Sunday that would have went for at least 20 yards. In the last two weeks, Graham has one catch for minus-1 yards on five targets. He still leads tight ends in touchdowns with nine, but his 472 yards ranks 15th and his 8.9 yards per catch is a career low by nearly two yards -- the Seahawks just don't use him much between the 20s. It would be surprising if the Seahawks re-signed him next season at $10 million-plus. Graham (knee) was a non-participant at practice Thursday, Michael-Shawn Dugar of SeattlePI.com reports. Analysis: Instead of take his day off Wednesday, Graham was a "full participant" at the walk-through session. Thursday's schedule included an actual practice, though, so the Seahawks allowed the tight end to give his knee a respite. Expect Graham to fit in at least some activity Friday before the team removes his designation entirely. Graham (knee) was a full participant at Wednesday's practice, John Boyle of the Seahawks' official site reports. Graham (ankle) isn't on the final injury report for Sunday's game against the Rams, John Boyle of the Seahawks' official site reports. Analysis: Per usual, the Seahawks limited Graham's practice workload in an effort to keep him fresh for Sunday. He'll be looking to bounce back from a zero-catch outing in last week's 30-24 loss to the Jaguars. Graham (ankle) was a non-participant at Thursday's practice, John Boyle of the Seahawks' official site reports. Analysis: Graham theoretically regressed in terms of activity level, but the Seahawks held an actual practice Thursday after a walk-through Wednesday, so his lack of work isn't surprising in the least. Whether or not he leaves Week 15 prep with a designation, the touchdown machine seems like a safe enough play Sunday against a Rams defense that has surrendered seven TDs to tight ends in 13 games this season. Graham (ankle) was limited at Wednesday's walk-through, Michael-Shawn Dugar of SeattlePI.com reports. Graham was held without a catch on two targets Sunday in a loss at Jacksonville. Analysis: It was the first time since 2014 Graham went without a reception and just the fourth time in his career he was shut out when targeted. The Seattle offense took more than a half to get going, but it's still surprising Russell Wilson couldn't get Graham more involved. Graham had a bad drop in the fourth quarter, too. Graham (ankle) doesn't have a designation for Sunday's game at Jacksonville, John Boyle of the Seahawks' official site reports. Analysis: Graham's practice regimen didn't deviate much from the previous two weeks, and the Seahawks ended any question about his ability to play Sunday by taking away his injury designation. While Jacksonville's defense has been tough on tight ends this season, allowing four touchdowns in 12 games, Graham's rapport with Russell Wilson may be too much for this unit. Graham (ankle) was a non-participant in practice Wednesday, John Boyle of the Seahawks' official site reports. Analysis: Graham has been absent from most of the first practices of each week since the calendar turned to November, but rest and a newfound rapport with Russell Wilson has reaped dividends. Over the last eight games, Wilson has targeted Graham 21 times, nine of which have produced touchdowns. The frequent end-zone visits have offset averages of 4.6 receptions for 41.4 yards per game. Because the connection hasn't shown any sign of letting up, Graham is a must-start weekly, as long as he suits up. Graham caught three of four targets for 26 yards and a touchdown during Sunday's 24-10 victory over the Eagles. Graham (ankle) is listed as active Sunday versus the Eagles. Analysis: At this point in the campaign, the red-zone monster doesn't require many practice reps in order to suit up on game day. Despite reaching the end zone eight times over the last seven games, he may have a tough time Sunday against a Philadelphia defense that has allowed tight ends to accrue only 10 catches for 92 yards and no touchdowns over the last four contests. Graham (ankle) is listed as questionable for Sunday's game against the Eagles, Gregg Bell of The Tacoma News Tribune reports. Analysis: Graham seems to have fallen into a routine of barely practicing during the week and then being listed as questionable on the Seahawks' final injury report. It hasn't stopped him from scoring eight touchdowns in the past seven games, though the injuries might help to explain his career-low mark in yards per catch (9.1). Graham leads the league in both red-zone targets (23) and targets inside the 10-yard line (14). Graham (ankle) was a non-participant in Wednesday's practice, John Boyle of the Seahawks' official site reports. Analysis: At this point, Graham's presence on the Seahawks' injury report is obligatory as the veteran manages a balky ankle. His health hasn't stopped him from reaching the end zone, as he's made eight visits over the last seven games. Even if he enters the weekend with a designation, Graham should be good to go Sunday against an Eagles defense that hasn't surrendered a touchdown to tight ends since Week 7. Graham (ankle) caught three of six targets for 34 yard and a touchdown during Sunday's 24-13 win over the 49ers. Analysis: Graham boxed his man out for a one-yard touchdown on a quick slant early in the fourth quarter to extend his scoring streak to three. After going scoreless for the first five games of the season, Graham has hauled in an absurd eight touchdowns over his last seven games and has been held out of the end zone just once in that span. He'll have a tough test if he wants to continue those good vibes with a date against the Eagles next week. Graham (ankle) is active for Sunday's game at San Francisco. Seahawks head coach Pete Carroll said he expects Graham (ankle), who is listed as questionable for Sunday's game against the 49ers, to play in the contest, Ian Rapoport of NFL Network reports. Graham (ankle), who is listed as questionable for Sunday's contest at San Francisco, was a full practice participant Friday. Analysis: Graham was held out of drills Wednesday and Thursday, but after logging every rep to wrap up Week 12 prep, he was given the thumb's up from head coach Pete Carroll, who said the tight end is "fine," according to Brady Henderson of ESPN.com. Barring a setback, Graham should be available this weekend against a 49ers defense that has allowed a tight-end touchdown in each f the last four games. Graham (ankle) is listed as questionable for Sunday's game in San Francisco, Tim Booth of The Associated Press reports. Analysis: Graham appeared to injure his ankle in Monday's 34-31 loss to the Falcons, but he re-entered the contest and finished with seven catches for 58 yards and a touchdown. His ability to return suggests the injury isn't serious, but the Seahawks nonetheless held him out of practice Wednesday and Thursday. Another update will be available once the Seahawks reveal whether Graham participated (and to what extent) in Friday's practice. Graham (ankle) was listed as a non-participant on Wednesday's injury report, John Boyle of the Seahawks' official site reports. Analysis: In his third season with the Seahawks, Graham's red-zone prowess is beginning to mimic that of his time with the Saints. In particular, he's scored seven touchdowns over the last six games, during which he's been targeted 18 times in the red zone. Regarding his health, Graham has appeared on the injury report almost weekly this season, so his availability for Sunday's game at San Francisco isn't really in question, unless he doesn't log a full practice by week's end. Graham caught seven of 11 targets for 58 yards and a touchdown in Monday night's 34-31 loss to the Falcons. He also hauled in a successful two-point conversion. Analysis: Graham opened the scoring for Seattle with a four-yard touchdown during the first quarter. That end-zone trip not only gave Graham a seventh touchdown in the last six games, but also a new season-high mark since joining the Seahawks. Although he's topped 65 yards just once through 10 outings this season, Graham's torrid touchdown pace is reminiscent of his days in New Orleans, when he first surfaced as a fantasy star. Graham (knee) put in a full practice Friday, Michael-Shawn Dugar of SeattlePI.com reports. Analysis: The knee injury never presented much concern about Graham's availability for Monday's matchup with the Falcons, but the tight end's full practice Thursday likely removes any doubt that he'll play in Week 11. Graham hasn't cracked the 60-yard barrier in any of his last five outings, but has made up for it by being quarterback Russell Wilson's go-to option in the red zone. He's racked up six touchdowns on 13 red-zone targets over that span. Graham (knee) was limited in Thursday's practice, John Boyle of the Seahawks' official site reports. Analysis: Graham's medical chart includes a torn patellar tendon in his right knee, which forced five DNPs at the end of the 2015 season and an entire offseason devoted to rehabilitation. In 25 regular-season games in the meantime, he's posted 8.1 YPT and 12 touchdowns while averaging 51.1 yards receiving per outing. Assuming he brushes off the current injury in time for Monday's game, Graham will look to become the second tight end this season to reach the end zone against the Falcons. Graham brought in six of nine targets for 27 yards and two touchdowns in Thursday's 22-16 win over the Cardinals. Analysis: The veteran tight end has now racked up all six of his touchdowns in the last five games, with Thursday's contest serving as his second multi-score outing in the last three weeks. Graham's yardage total was his lowest since Week 2, but as long as he continues displaying a nose for the end zone, he'll remain a viable fantasy asset in all formats. He'll look to keep his impressive scoring stretch going against the Falcons in Week 11. Graham (ankle) was listed as a full practice participant Wednesday and doesn't have an injury designation for Thursday's game in Arizona, Curtis Crabtree of Sports Radio 950 KJR Seattle reports. Analysis: Graham's absence from practice Monday and Tuesday created some concern, but it now seems the Seahawks were just managing his reps in an effort to avoid aggravating the nagging ankle injury that has bothered him throughout much of the season. The tight end started the season with a pair of clunkers, but he has since caught 29 of 44 targets for 319 yards and four touchdowns in six games, scoring at least 5.9 points in standard formats and 10.1 points in PPR formats each week. Graham (ankle) was once again a non-participant at Tuesday's walk-through, John Boyle of the Seahawks' official website reports. Analysis: Graham has been a consistent contributor on offense since suffering an early season ankle injury. He has now been unable to participate in either walk-through this week, which keeps his status for Thursday's game against the Cardinals up in the air. His level of participation at Wednesday's practice should shed more light on his availability for Week 10. Graham (ankle) was a non-participant at Monday's walk-through, John Boyle of the Seahawks' official site reports. Analysis: Graham has been on fire since injuring his ankle Week 2, gathering in 29 of 44 passes for 319 yards and four touchdowns over the past six contests. There's no indication Monday's absence is serious, but his status should still be monitored closely in advance of Thursday's divisional matchup in Arizona. Graham caught five of eight pass attempts for 59 yards in Seattle's 17-14 loss to Washington on Sunday. Analysis: While Graham didn't score for the fourth consecutive week, he racked up more yards in this contest than he had since Week 4. With the offense having difficulty moving the ball for most of the game, he was held without a red-zone target for the first time since Week 2, although he did drop a two-point attempt late. He'll try to get back in the end zone again in Week 10 at Arizona. Graham (ankle) practiced fully Thursday, John Boyle of the Seahawks' official site reports. Analysis: Graham has bounced back from a brutal start to the season, hauling in 24 of 36 passes for 260 yards and four touchdowns over the last five games. With his health not in question Week 9, he'll take on a Redskins defense Sunday that has given up 13.9 YPC and three scores to tight ends after seven contests. Graham didn't participate in Wednesday's practice due to an ankle injury, John Boyle of the Seahawks' official site reports. 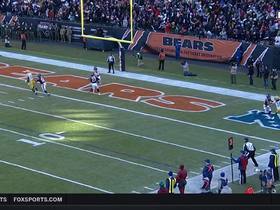 Chicago Bears safety Eddie Jackson intercepts Green Bay Packers quarterback Aaron Rodgers, ending his streak of pass attempts without an interception at 402. NFL Network's "NFL Fantasy Live" crew highlights four things they learned in Week 14. Green Bay Packers tight end Jimmy Graham's first catch of the game goes for a big gain. 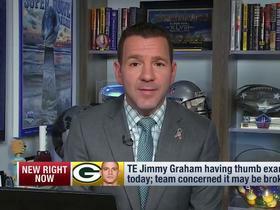 NFL Network Insider Ian Rapoport gives us an update on the Green Bay Packers tight end Jimmy Graham's thumb injury. NFL Network's Tom Pelissero previews the Green Bay Packers and Seattle Seahawks Week 11 matchup. 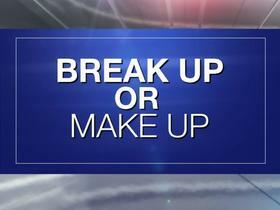 The "NFL Fantasy Live" crew discuss players you should cut loose or keep on your roster. Green Bay Packers quarterback Aaron Rodgers slings pinpoint touchdown pass to tight end Jimmy Graham. 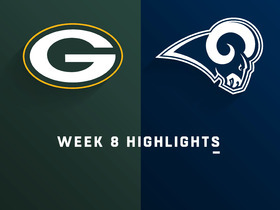 The Green Bay Packers faced off against the Los Angeles Rams in Week 8 of the 2018 NFL season. 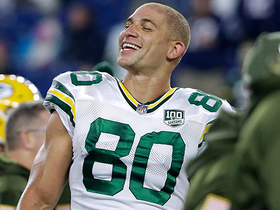 Green Bay Packers tight end Jimmy Graham almost scores on a 21-yard catch on a pass from quarterback Aaron Rodgers.